Our Amish handcrafted Colonial Night Stand has an open area for storing books or other items below. 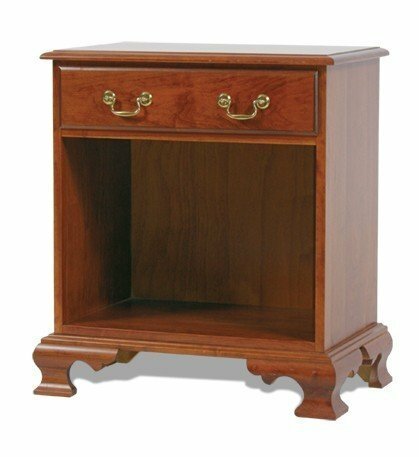 This Early American influenced night stand is quality constructed from solid hardwoods in a variety of finishes. Please call one of our Amish furniture specialist to receive finish samples. Please allow four to ten weeks for this night stand to be built.